We can honestly say this car beats just about all odds and it's the global leader for aerodynamics. First of all, it's an electric Volkswagen, which is rare in the first place. A myriad of electric VWs are seemingly not coming for years and years, and maybe more years after that. Second, it's dirt cheap in comparison to the model's starting price (um ... way expensive, sorry). It handles incredibly well, it's super efficient, it's incredibly aerodynamic, and it features the lightest in build materials, including a carbon fiber body, carbon ceramic brakes, aluminum suspension components, and magnesium wheels. This interesting, tiny, exclusive VW (only weights in at 2,000 pounds) and could be the bees knees for someone with the money to partake. The best part is that it will be auctioned soon by Silverstone Auctions in the U.K. 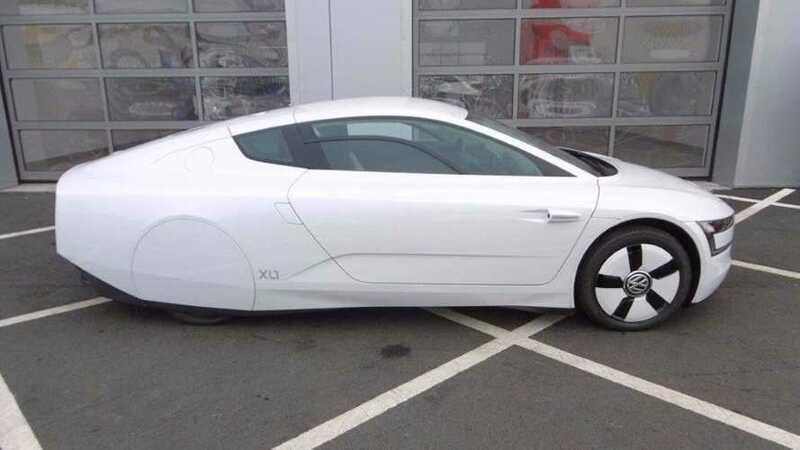 It's a 2014 VW XL1 coupe that returns a crazy 261 mpg on the Euro test cycle. In addition, it achieves a ridiculous drag coefficient of 0.189. As Autoblog points out, a car like the Hyundai IONIQ, which is stellar in that metric, only achieves 0.24. Meanwhile, this car only churns out 78 horsepower and has a top speed of just 100 mph. Additionally, its 0-to-60-mph time is terrible, at 12.7 seconds. Nonetheless, the XL1 is crazy rare and surely sought-after in certain markets. Only 250 were ever built and only sold in Europe. Initial starting price was in the $170,000s (USD equivalent) in the U.K. where only 30 were sold. For the rest of Europe, prices started around $150,000 (USD equivalent). This used model has just 79 total miles and is priced to sell at only $120-150k.